Last May I turned 30… plus one. I was pregnant with my second son on my 30th (and for me pregnancy = sick as a dog) but I refused to get cheated out of a good fat party. 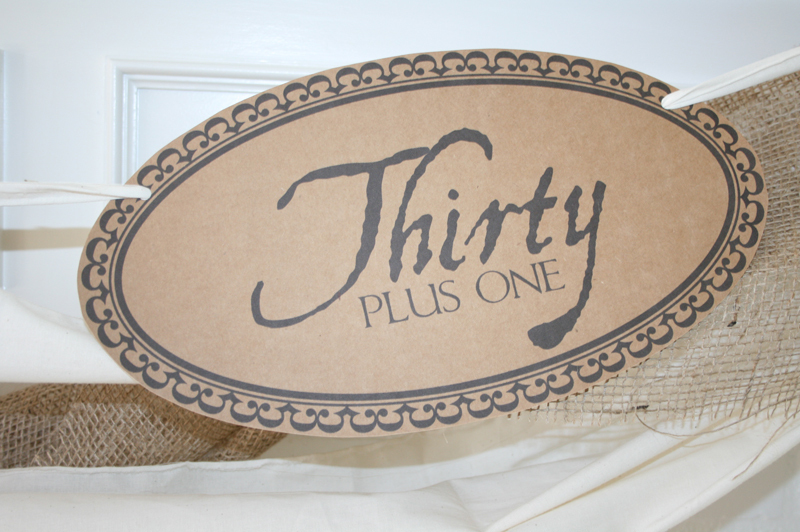 So… a year later I shamelessly threw myself a Havana Nights themed Thirty+One party. Since it was a big one, I just emailed the above invite out to our guests. On the little lion sticker in the upper left hand corner is my actual birth date and initials. Little things that I would notice but probably no one else did. 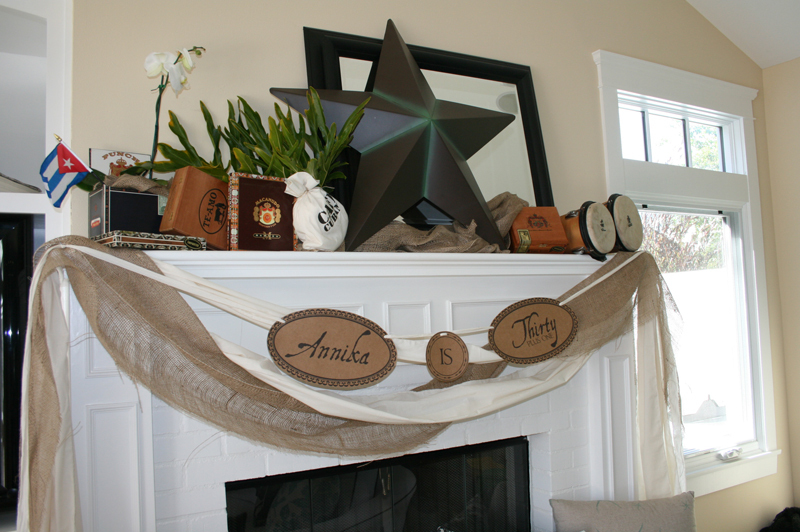 For decor… we used a ton of burlap & muslin (both super cheap!) and draped them on just about everything. 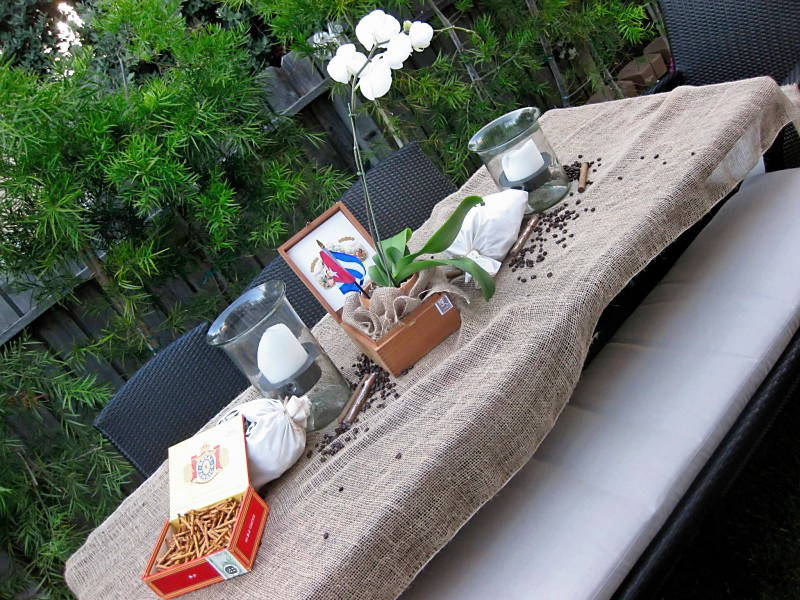 (Quick tip: Lowe’s and Home Depot have really cheap burlap in the gardening department.) My mom (yep… expect to hear about her in just about every post!) 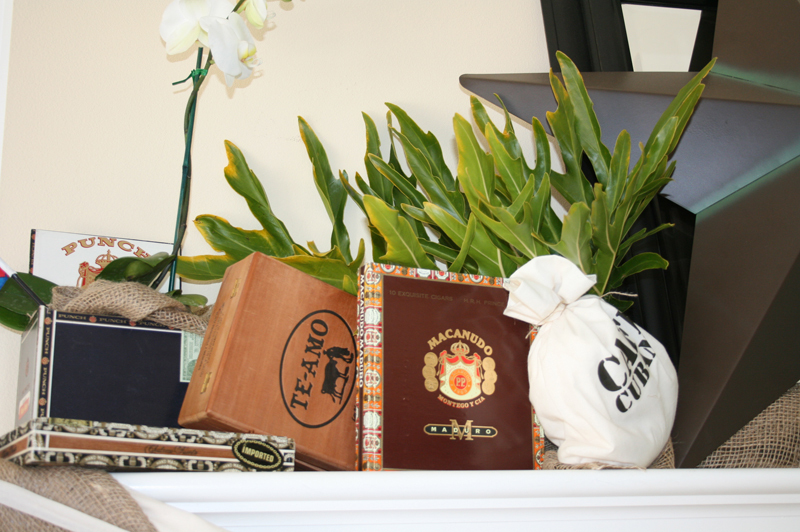 had collected a ton of cigar boxes over the years for various projects so I hijacked those guys and threw them all over the house. 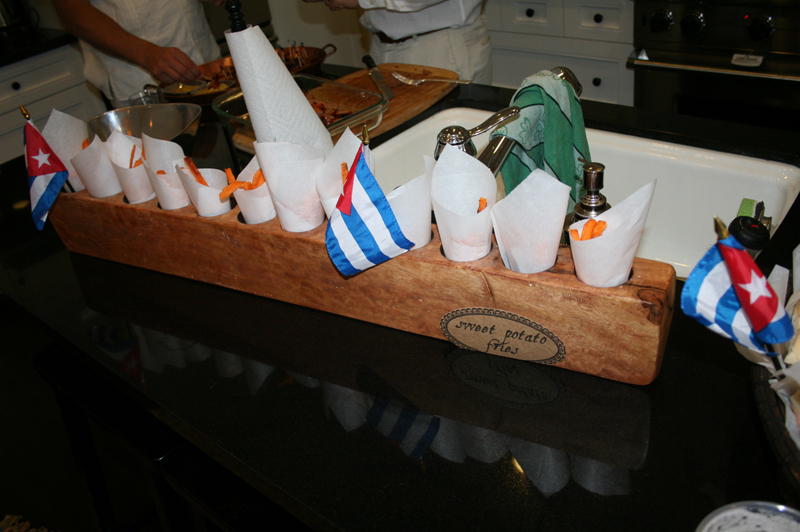 They were perfect vessels for snacks (again – super easy food… but doesn’t it look cute? ), flowers, and for stacking everywhere we could. 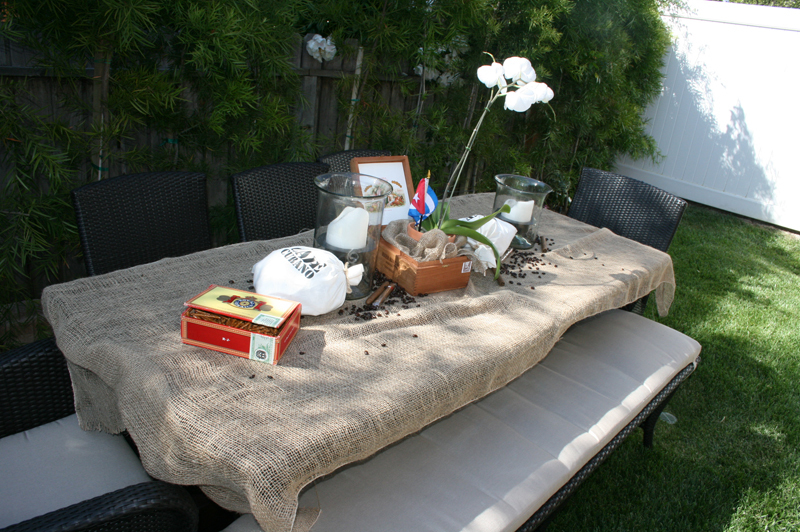 We also threw coffee beans, cigars, and ‘Cafe Cubano’ bags made from left over muslin and iron-on transfers around the tables and mantle. Flowers were orchids from Trader Joe’s. And those big leaves are clipped from my sister’s house. 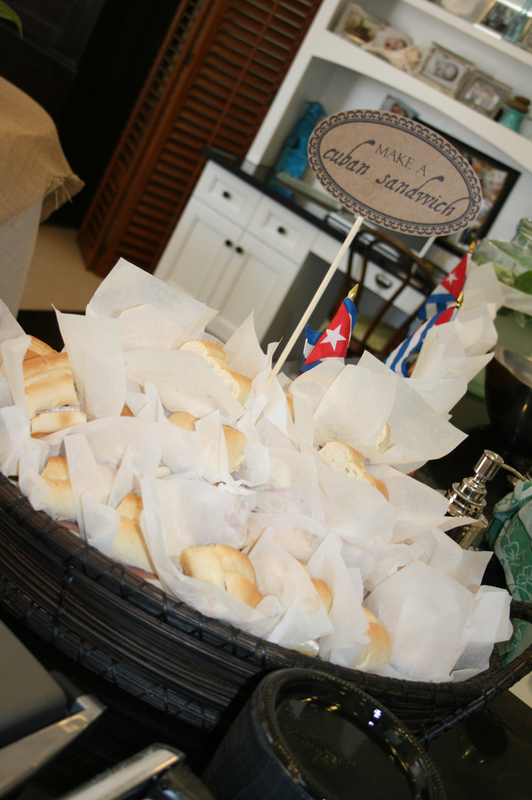 I think the most important part about the food for a big party is that it’s ready before the party starts so that the hosts can actually have fun. 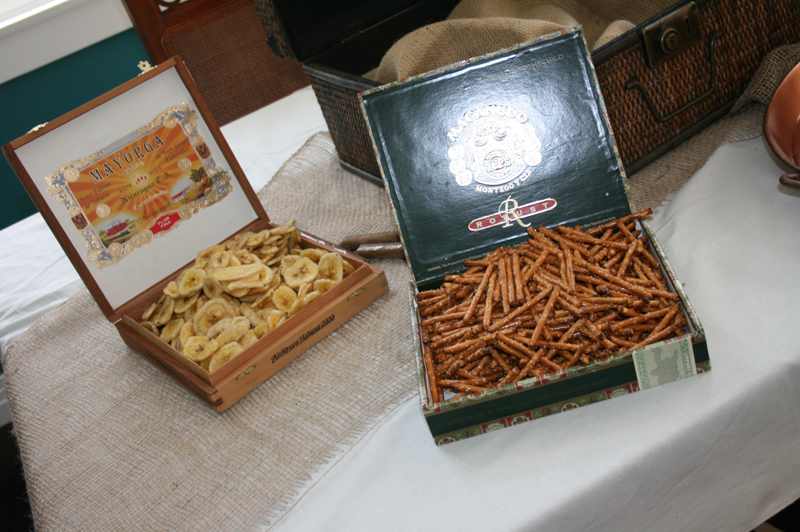 We had lots of snack food around… pretzels, banana chips, cinnamon twists, cookies, and pineapple, papaya, and melon on sticks. We put styrofoam in the bottom of that wooden case so that they would stand up. It looked pretty cute! We put wrapped sweet potato fries in parchment paper (thank you Trader Joe’s) and placed them in a long wooden candle holder. And you can’t go to Cuba without eating a Cuban sandwich, right? 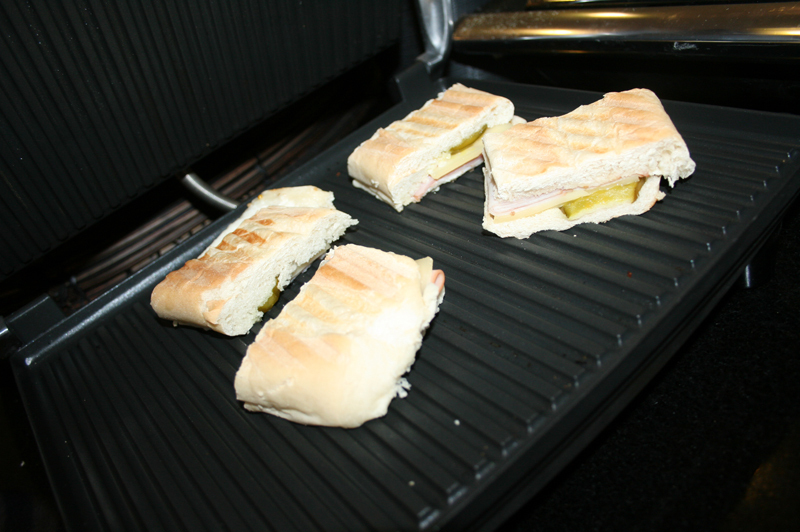 We made all of these puppies ahead of time and set them out next to a couple panini presses. Yum! We did not have one sandwich left over. 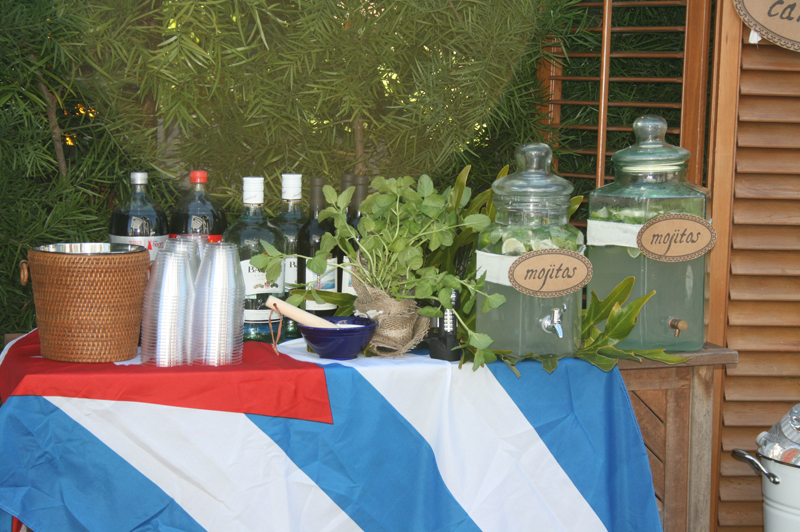 But isn’t it more fun to drink a mojito? We set the bar up outside next to our trusty donkey. I ordered a bunch of Cuban flags (big and little ones) from ebay and wanted to hang one outside our house. The problem was that it was Memorial Day and my husband is insanely patriotic so he wouldn’t let me. Better that way, because the flag looked cuter over the bar anyway. What’s up with that shutter? Well, a few weeks before the party, I was on a walk with my mom when we spied 4 of those things on someone’s curb with a sign that said “FREE.” Awesome! We put the other three throughout the house and I think it helped make the house look like a Cuban cantina (although what do I know? I’ve never been to Cuba!) 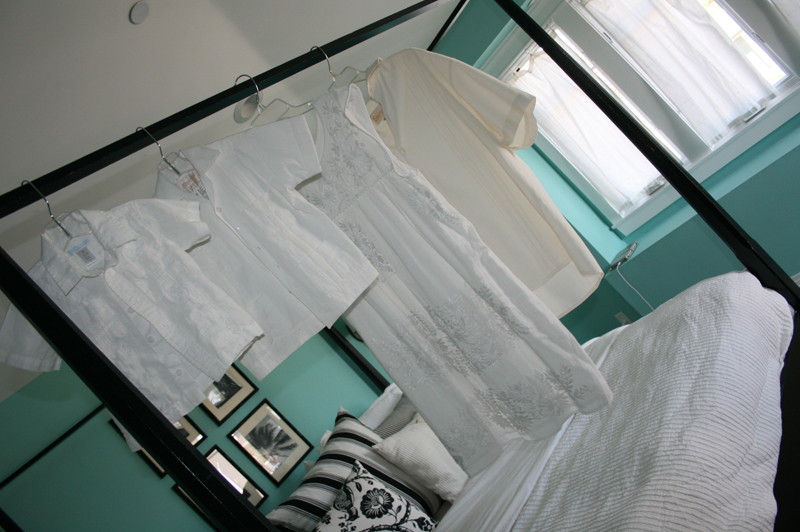 I know Cuba is known for being super colorful, but we made everyone come in white instead. I swear it made everyone look like a Cuban angel! 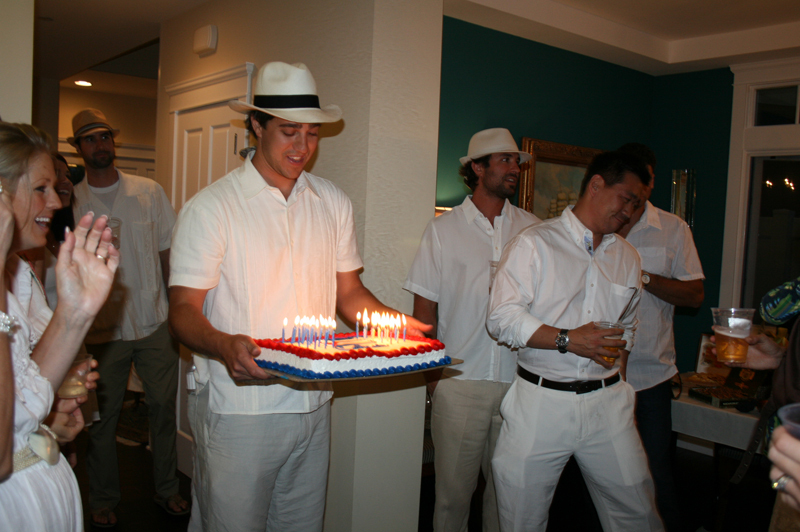 Here was our line up of garb… But how fresh does everyone look in their white and panama hats? I loved it! At the last minute, we hired a percussionist to play along with our iPod. He was awesome and totally set the vibe for the party. 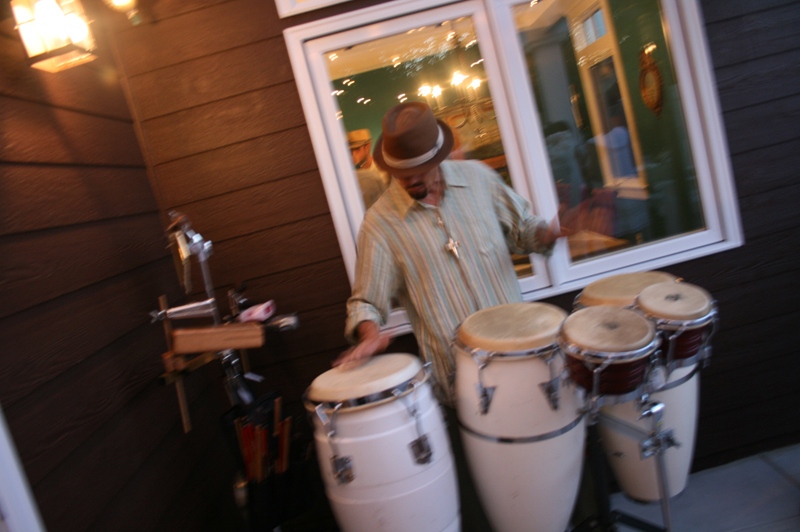 He was the perfect addition to our Havana Night! 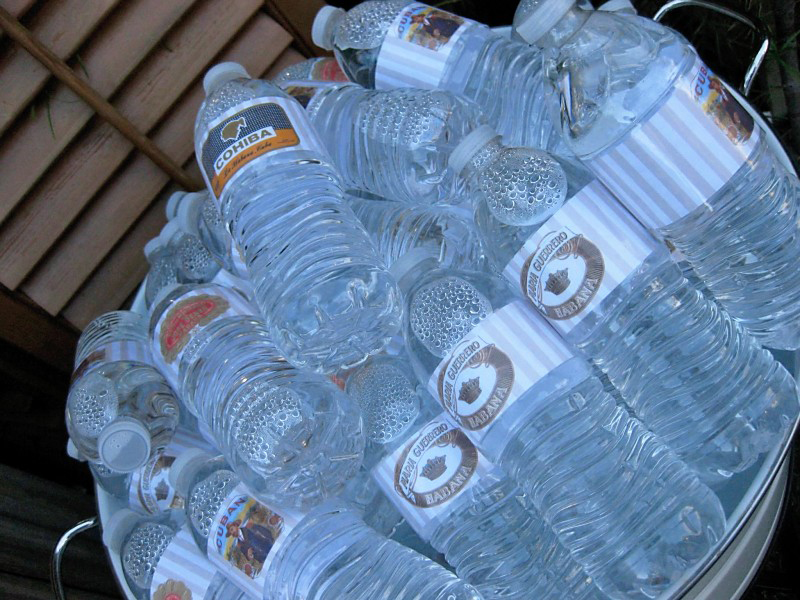 More details from outside… I covered water bottles with different cigar logos. 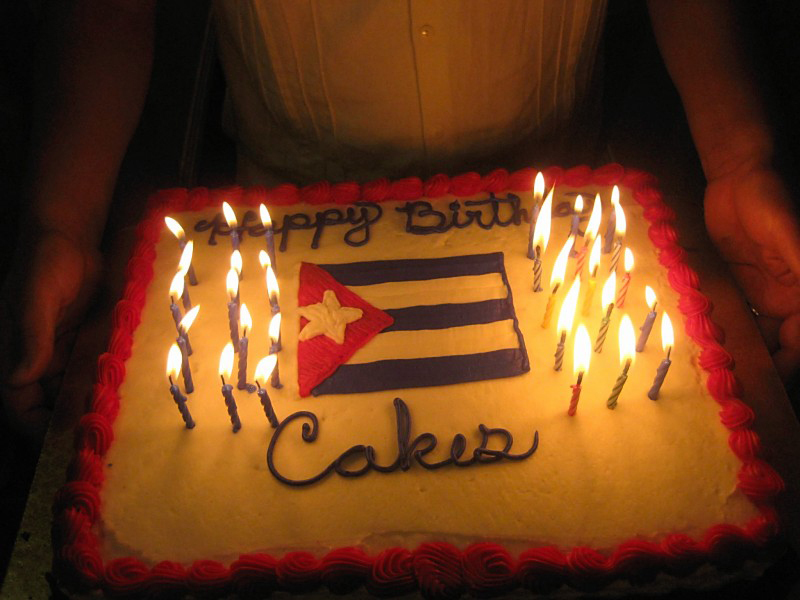 Toward the end of the night, my huz totally surprised me with such a cute cake. He said it took him about 900 times to explain to the baker that he wanted it to say “Happy Birthday Cakes.” I guess it is a bit confusing! It was a great way to turn thirty-one. I certainly can’t wait to turn Thirty Plus Two! 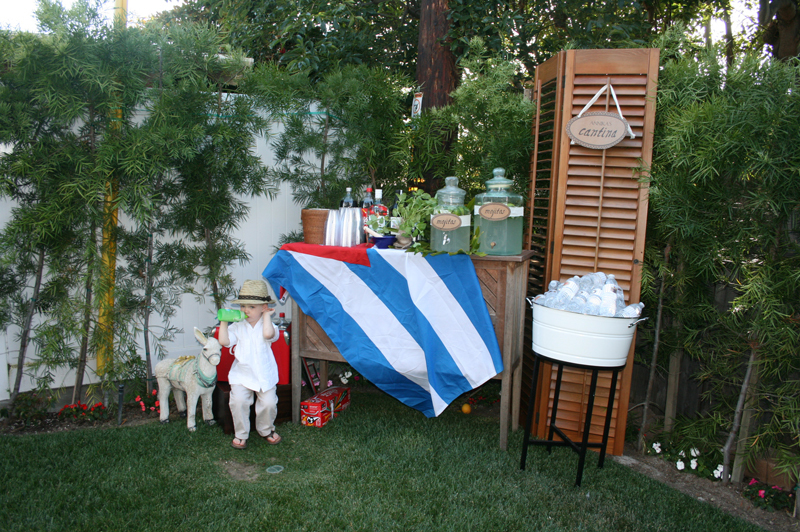 This entry was posted in parties for grown ups and tagged 30th birthday party, cuban themed party, havana nights, mojito party, white party by Annika. Bookmark the permalink. So FUN! 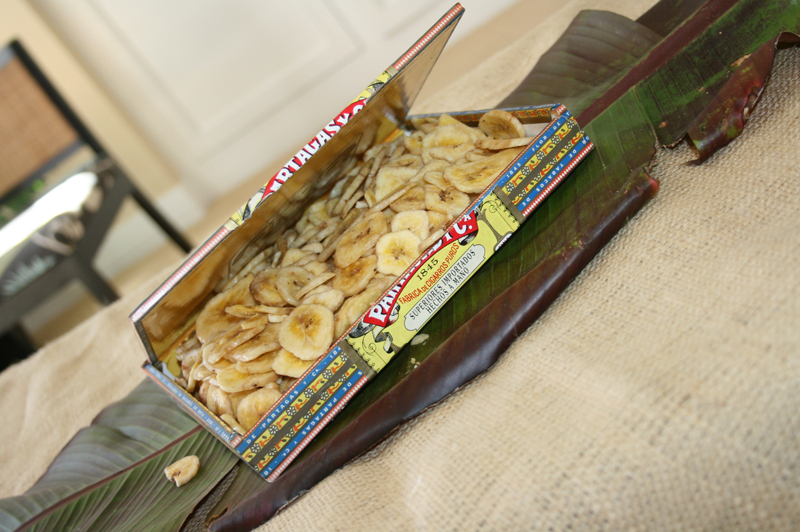 This is perfect for you — and for us! I want to subscribe Nicole to it, also; can I do that from my computer? I don’t think she is onto your blog, either, so can we do that? Hi Maryann! Nicole will have to subscribe from her own computer I think! 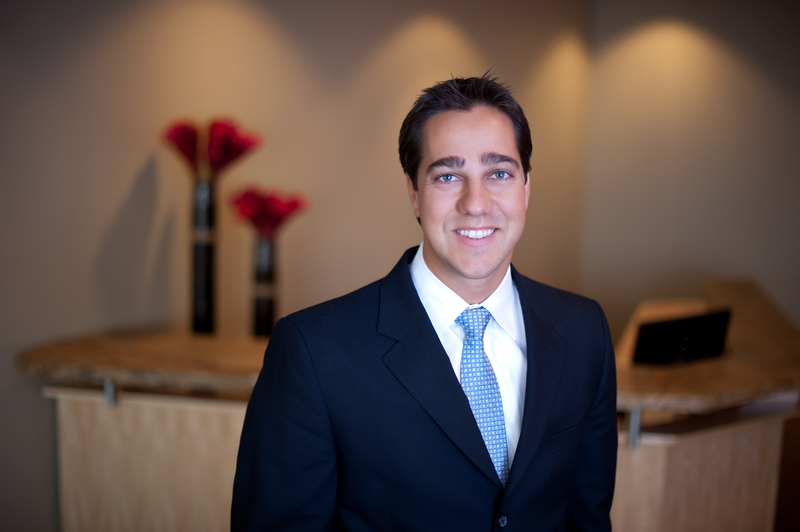 Thank you for chiming in! You’re the best! Fabulous work. 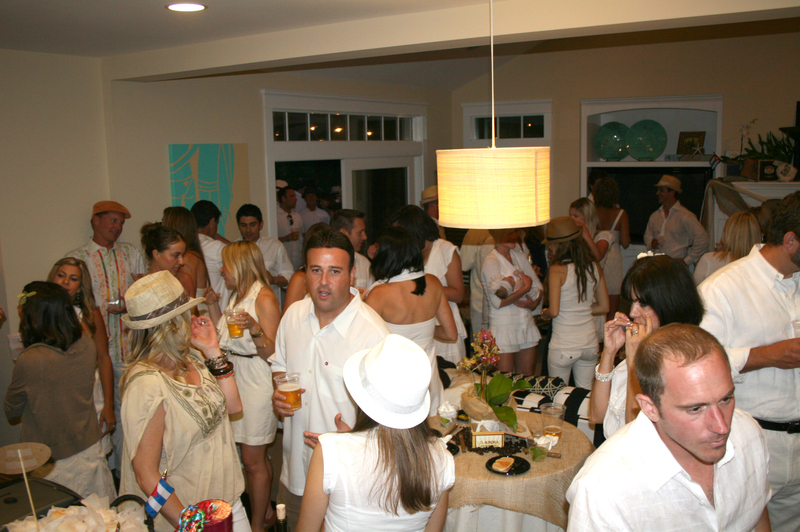 This party looks amazing!!! Fantastic! How did you come up with the invitation and labels for water bottles?? I just took photos of cigar logos for the water bottles and put them on a striped background. 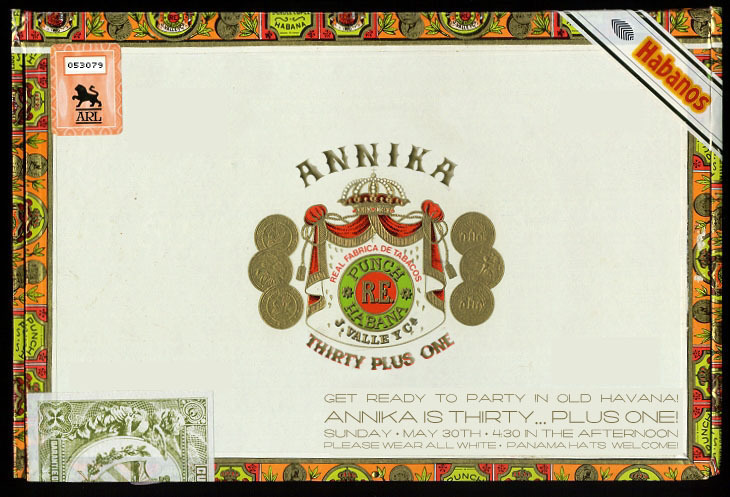 The invite was a photo of a cigar box and I just photoshopped my information on top of it. Thanks for writing! Love this! Looking for inspiration for a Havana Nights invitation I’m designing…yours is fabulous! how did you let all the guests know what the attire was? i put it on the invitation! 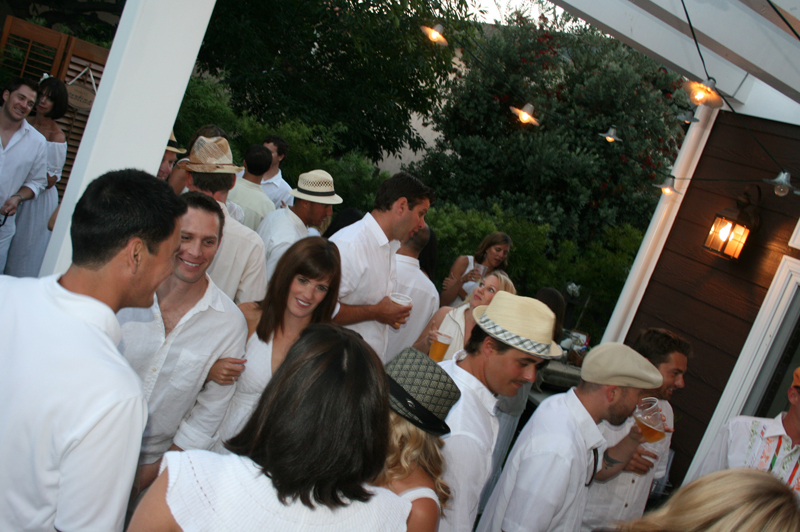 wear white. 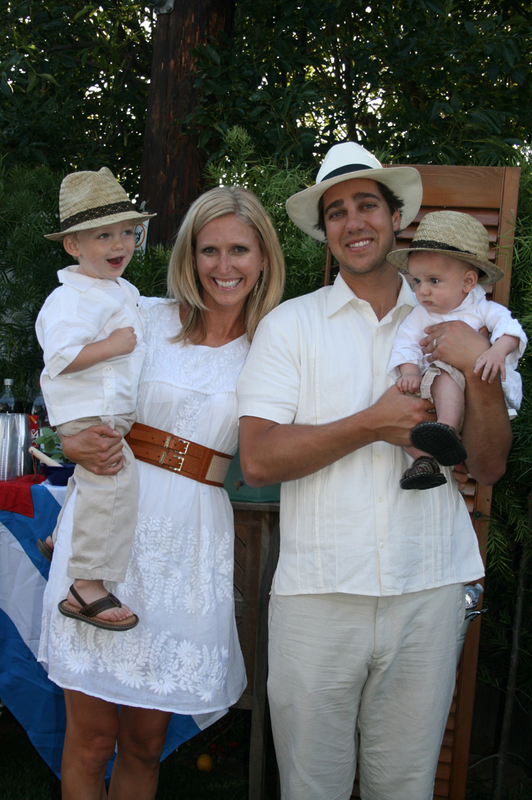 panama hats welcome! I’m interested in how you printed out the labels with the cigar logos on them. 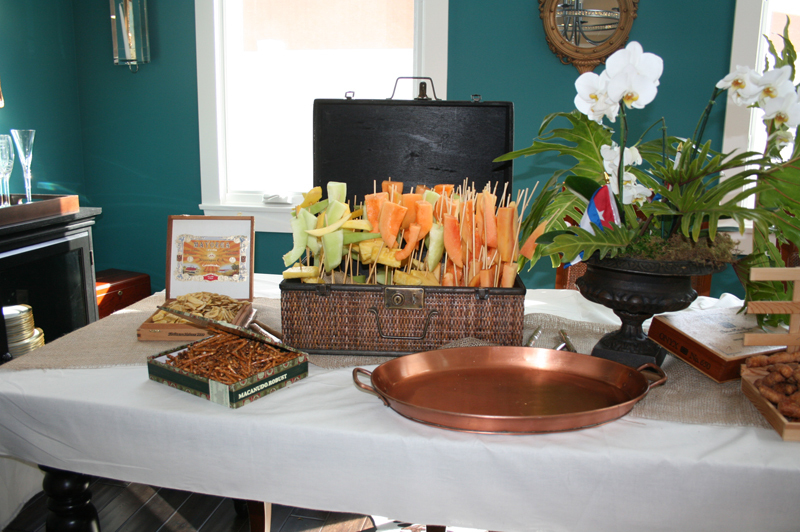 I’m planning an Engagement Party for my daughter and we are doing a Cuban theme as well. Would appreciate your feedback. 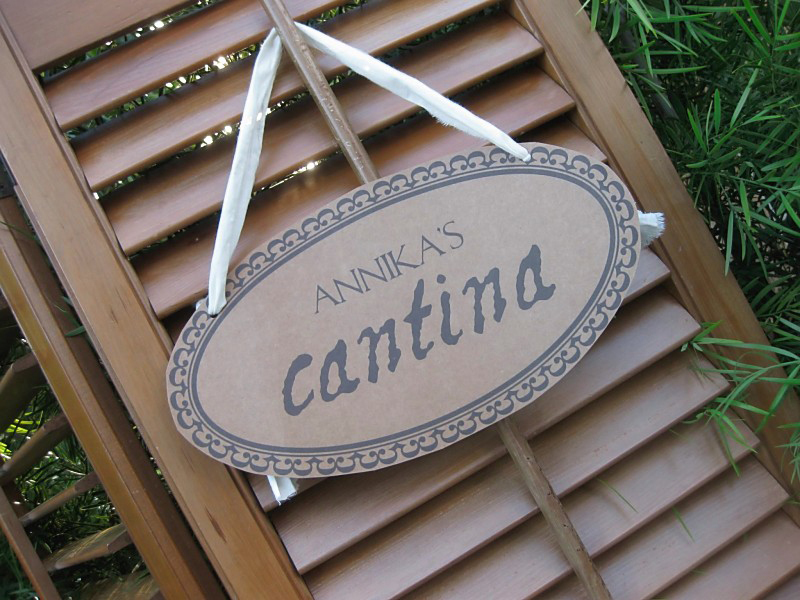 Hi im doing a havana nights theme for my grad party and i wanted to know where you got the signs like for the cantina?